Having great outdoor furniture can make a world of difference to the time you spend in your lawn or pool side. Instead of sitting on a cramped, shabby patio chair, you can easily relax on comfortable and stylish furniture. Modern outdoor furniture needs to be more than being just attractive. It should be durable and provide good value for your money. Here are some tips you can consider to buy comfortable yet appealing outdoor furniture. Many homeowners ignore the quality of their patio furniture and buy anything in the cheap range. However, this is a crucial mistake. 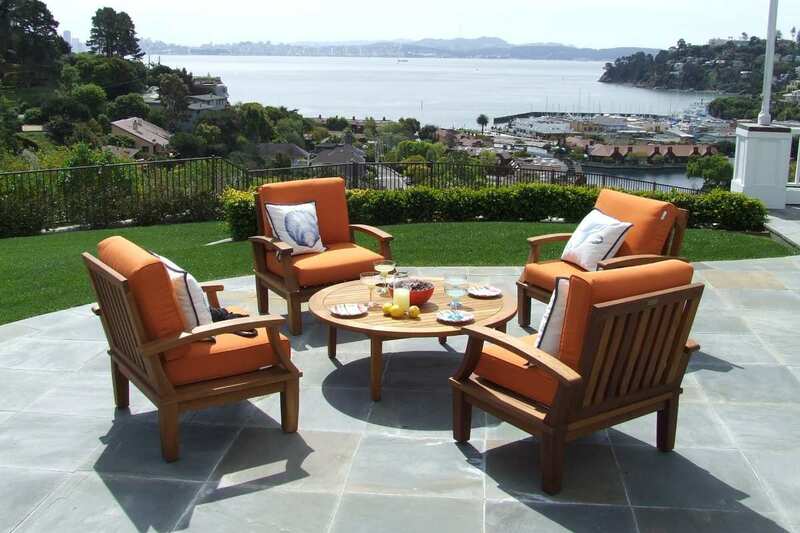 Outdoor furniture is exposed to all sorts of harsh elements, from the weather to dust and debris. To withstand all this, outdoor furniture needs to be of high quality. When you buy them, inspect every piece for flaws like cracked casters and amateur paint finishes. Buy modern outdoor furniture based on your usage pattern. For instance, if you like to move around your patio furniture, consider buying something that is lightweight. Similarly, if it rains often in your location, you can buy rust-resistant furniture. Also, think of the size of your outdoor space before you buy outdoor furniture. Do not cramp large furniture pieces in a small space. Get the measurement of your outdoor space and consider it when you are buying your furniture. If you don’t have natural or any other type of shade on your outdoor area, consider getting one. Umbrellas or motorized awnings work great for providing cool shade during hot afternoons. Collapsible tables which can be extended during guest visits. Comfort is very important. You will be tempted to buy wood or steel constructed furniture for their long-lasting shelf-life, but without some plush and soft cushions, your furniture will mostly go unused. Get fabrics that are specially designed for outdoor use. These are usually UV protected and fade resistant. When you are deciding on fabrics to buy for your outdoor furniture, choose cushions with heavy-duty thread and even stitches. They should also have a vent to allow quick drying and airflow. It is a good idea to buy outdoor furniture with detachable cushions. They can be turned and flipped periodically to retain their shape. Fabrics such as cotton duck, treated canvas, polyester and acrylic are durable and a great choice for outdoor furnishings. Looking for modern outdoor furniture? Just browse through our fabulous range of outdoor furnishings and accessories at https://www.domo.com.au/.